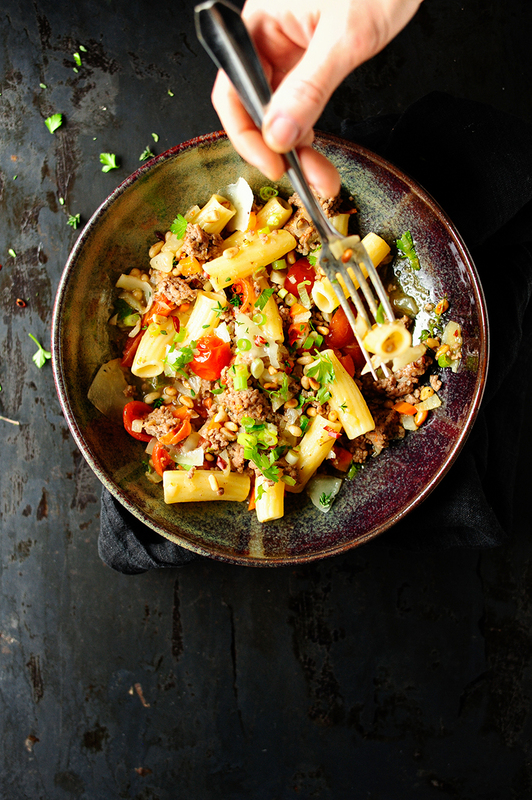 If you like to make your winter evenings cozy, then there’s nothing better than a big bowl of pasta! 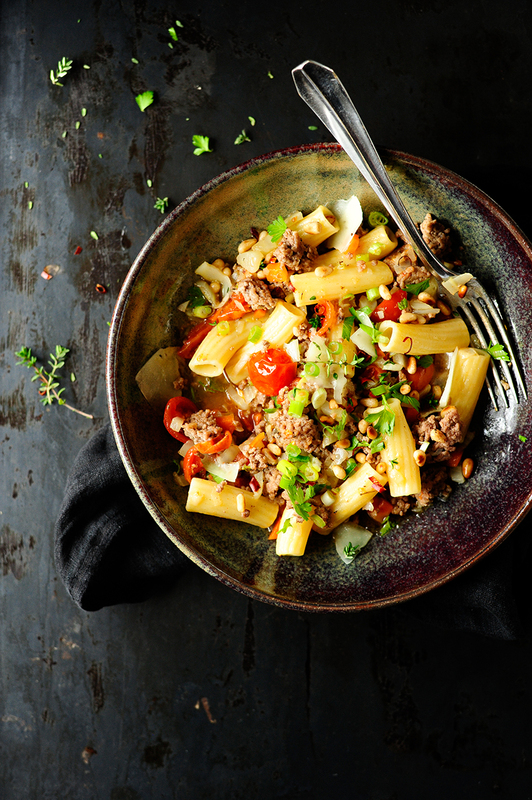 This pasta with lamb is a great idea for such days, it’s fast and full of flavor. It’s also made with lots of vegetables and a hearty butter sauce, so you get a dish that makes everyone at the table happy. 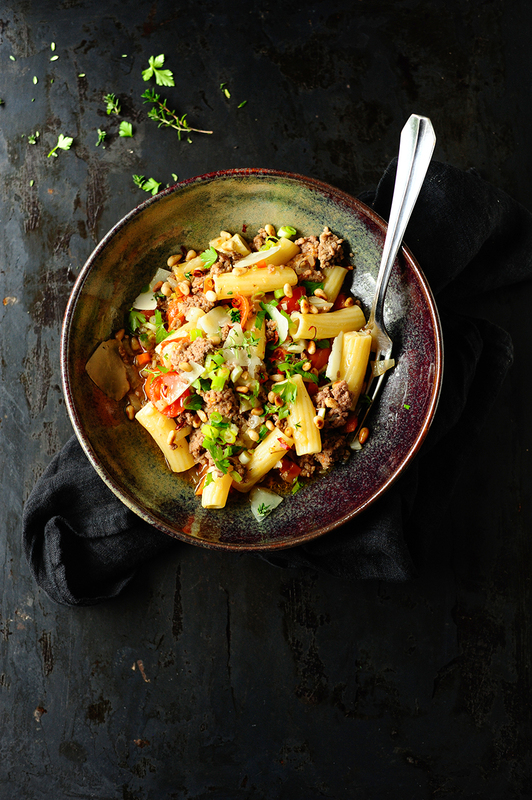 This hearty pasta with lamb is full of spicy aromas, it’s light and very tasty. It’s without any doubt one of the best things you can eat during this cold season, can’t imagine better winter food! Heat the oil in a big skillet, add garlic and shallots, sweat for 5 minutes. Add minced meat and cook over high heat for 5 minutes, stirring occasionally. Stir in the fennel and carrot, reduce the heat and cook for 5 minutes. Pour the beef broth, add thyme, paprika and cumin and season with salt and pepper. Bring to a boil and stir in the tomatoes, simmer for 5 minutes more. Combine the sauce with pasta. Sprinkle with chili flakes, parsley, pine nuts and spring onions. Enjoy!